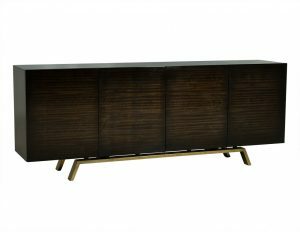 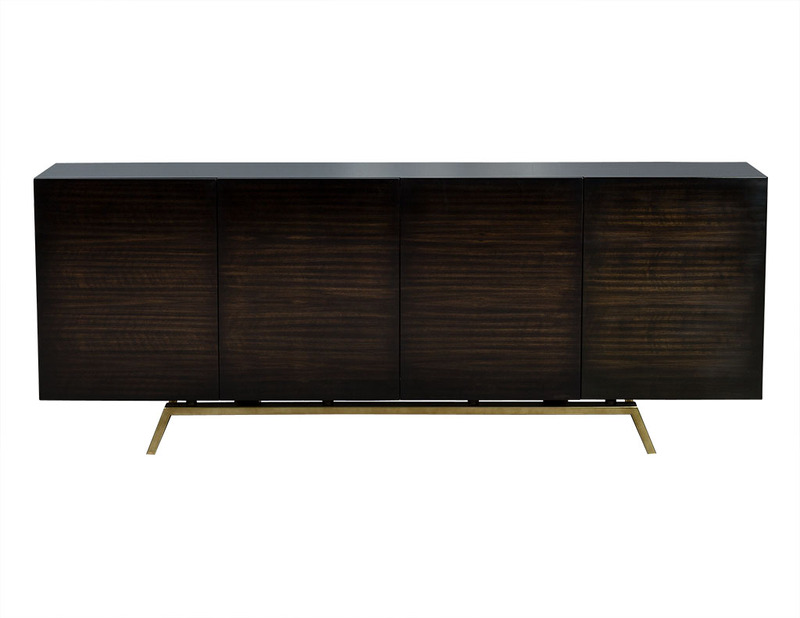 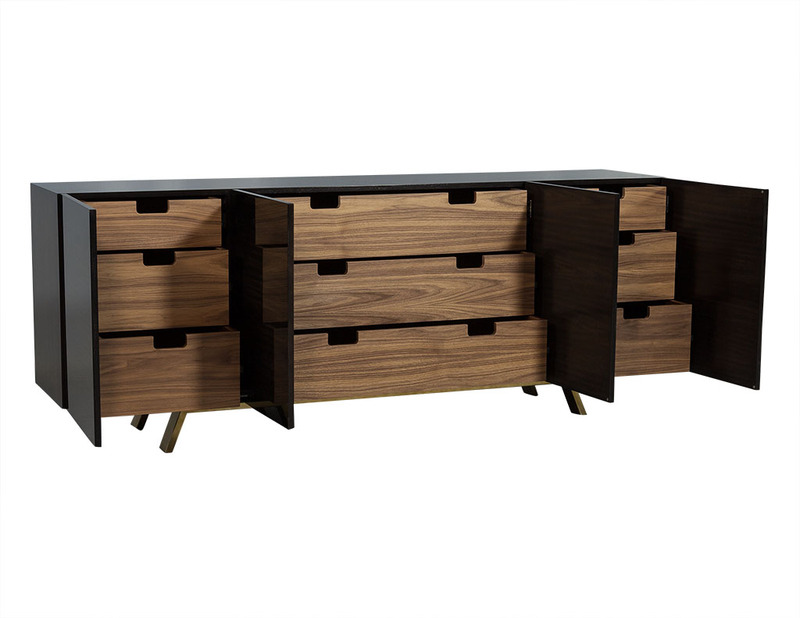 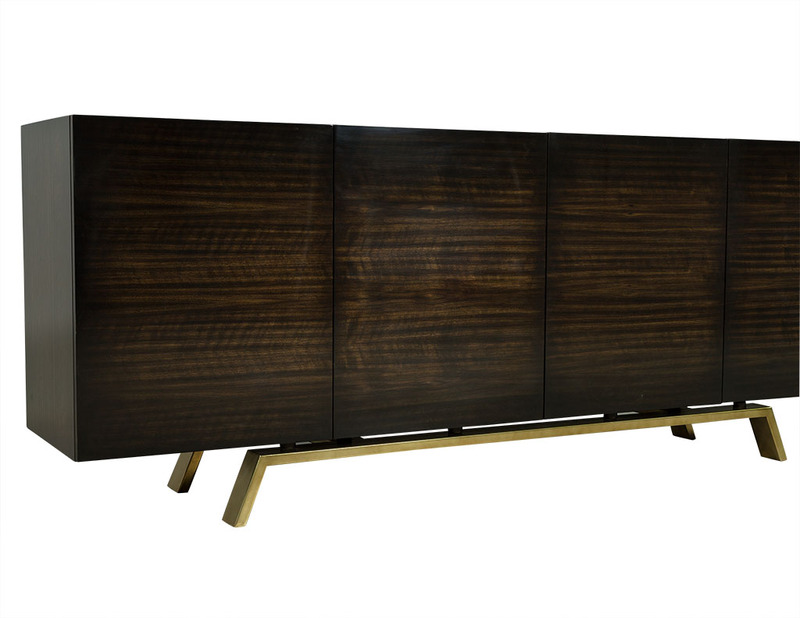 This modern sideboard buffet is made to order. 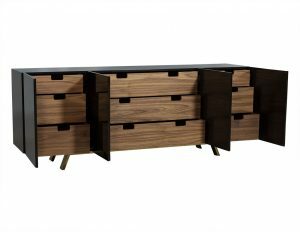 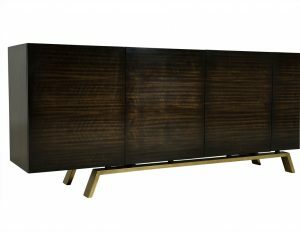 The piece is finished in a glossy dark stain, and has four doors with three drawers on each end and three wider drawers front and centre. 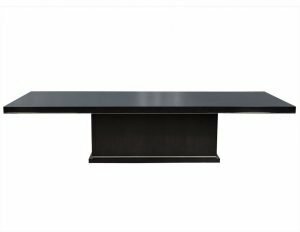 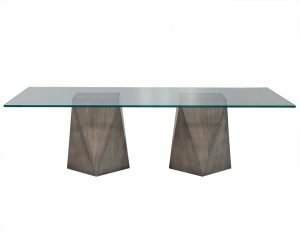 Sitting atop a complementary brass base with angled legs, this piece is perfect for a well-designed home.